Synopsis: Every choice has a consequence. I believe in soul mates. Why? Because I have one and his name is Jax Porter. I have known Jax my whole life and I have loved him with every breath I’ve ever taken. The fact that we were born a mere month apart to mothers that are best friends has made us inseparable since birth. What we have is so rare, one would think our story would be written, our fate sealed. But, unfortunately that’s not how life works. Life offers us many choices that can turn destiny into chance. I now find myself heading toward a destination that I could have never imagined and I have to figure out where to go from here. Will the choices that have been made change our path forever or will fate find its way? This is my first experience ready Ellie’s work and I wasn’t disappointed! This book portrayed a love that transitions from high school to college perfectly! 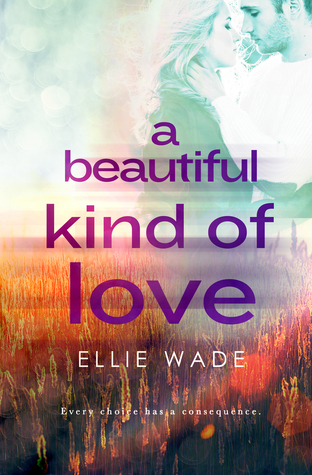 Jax and Lily have been thrown together their entire lives…their parents are friends and they lived next door to each other growing up and being only a few months apart in age it’s natural that they become best friends. Lily’s prom is where everything changes for the two of them and they decide that they should start dating, but they agree that they’ll always be best friends. Jax is a football god in high school and gets a scholarship to a big name school, he wants Lily to come with him but she resists. Instead, Lily takes classes at the local community college and eventually transfers to a four year school a few hours away from Jax…she wants to be Lily and not Jax and Lily. Ultimately this plan backfires. This book is a great example of how life and love don’t always end up how we’d like for it to. Definitely recommend it!